When it comes to getting a gift for Mother's Day, most presents are so insufficient! How do you thank your mom for bringing you into the world and for 18 or more years of care-taking? A prepackaged floral bouquet isn't enough and perfume or chocolates aren't right either. The solution: Create your own gift. Homemade baked goods have that extra element of thoughtfulness, because you've taken the time to make it yourself from scratch. 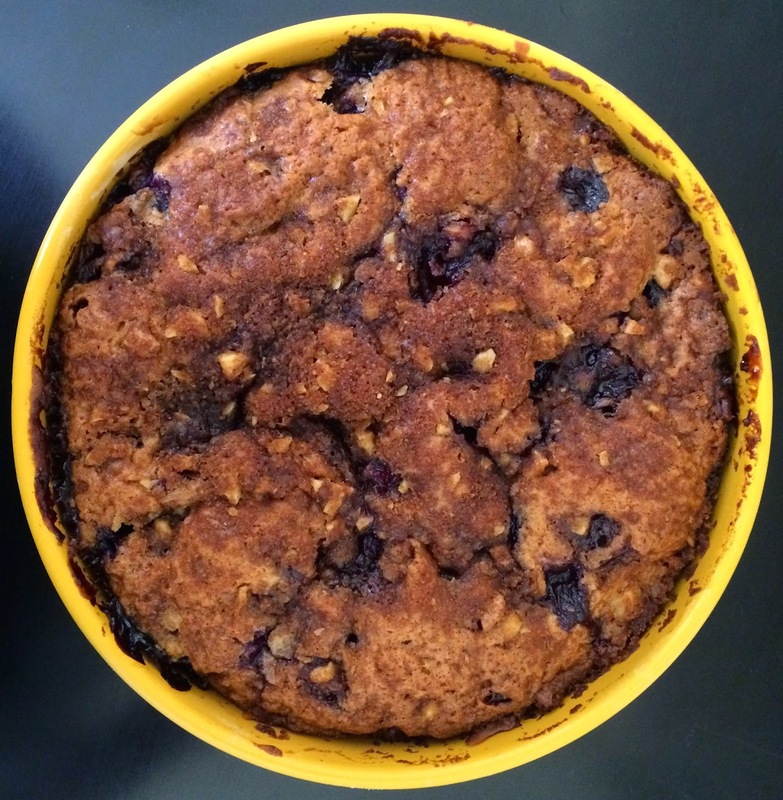 This recipe for blueberry coffee cake is perfect for brunch or breakfast in bed. The moist, dense cake is packed with blueberries and layered with crunchy cinnamon-flavored walnut streusel. The top layer of streusel gets especially crispy. So yummy! You could serve the cake with other brunch options such as fruit salad and scrambled eggs or simply serve it with a cappuccino in continental style. 1.) Preheat oven to 350 degrees Fahrenheit. Grease and flour a 10-inch diameter pan. 2.) In a large mixing bow, cream the butter and sugar until light and fluffy. 3.) Add the eggs one at a time, beating well. 4.) Mix in the vanilla extract, stirring well. 5.) In a separate bowl, combine the flour, baking powder, baking soda and salt. 7.) Using a wooden spoon, fold in the blueberries. 8.) In a mixing bowl, combine the streusel ingredients. 9.) Spread half of the batter into the pan. 10.) Sprinkle half of the streusel on top of the batter. 11.) Then spread the rest of the batter as the next layer. 12.) Top with the remaining streusel. 14.) Allow the cake to cool in the pan for 10 minutes. 15.) Remove cake from pan and place on a wire rack to cool completely. Of course, you should also offer your mom a beautiful floral bouquet! Wow! Blueberries are my moms favorite fruit! I can't wait to make this for her.